The curator of “Gods in My Home” explains what ancestor portraits meant to early 20th century Chinese families. 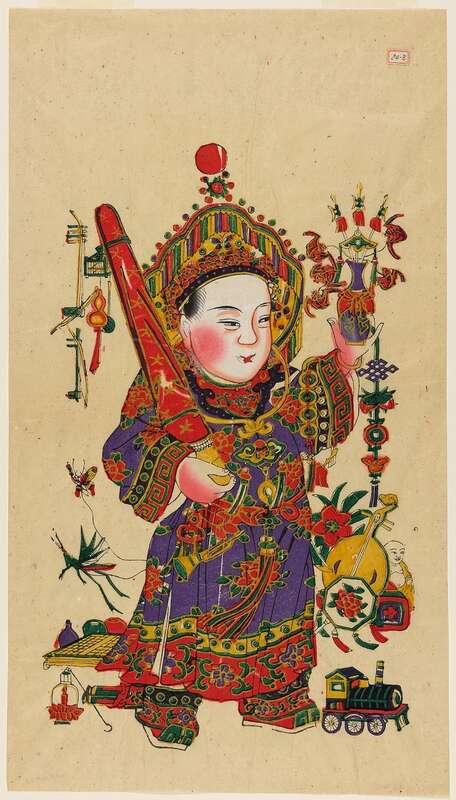 Just in time to ring in Chinese New Year (February 5, 2019), the ROM has launched a special exhibition called "Gods in My Home" which features a collection of Chinese ancestor portraits from the seventeenth to the early 20th centuries. These beautiful portraits were not only for decoration, but played an important role in rituals to commemorate and commune with their owners' ancestors. Although most 21st century Canadians don't explicitly practice "ancestor worship", keeping a connection to the past remains important to nearly everyone. Dr. Wen-Chien Cheng, co-curator of the ROM exhibit, explains ancestor portraits, the role they played in their historical context, and why these kinds of practices are still important in an immigrant society such as that of Canada. Ancestor portraits are a very specific genre of art, consisting of portraits commissioned to be used in ritual ceremonies meant to communicate with and honour one's ancestors. Often, they were commissioned after death and painted from descriptions or other extant images of the deceased. Otherwise, they were commissioned when the subject was critically ill. According to Dr. Cheng, those who had these portraits made believed that when their ancestors passed away, they didn't cease to exist. Instead they passed into another realm, becoming deified beings. And the point of the portraits was to help living relatives carry on their relationships with ancestors living in a different realm. "A mutual relationship between generations"
As Cheng put it, "Chinese New Year is a time of reunion, not just with the living members of your family, but also with the deceased members." As with other relatives, get-togethers revolve around significant dates. At birth and death anniversaries, and around Chinese New Year, families would set up a temporary ceremonial space which would include an altar and offerings such as food, drink, flowers, and other items. The portraits would be hung up in these spaces and family members would bow to the portrait to pay their respects. While these practices can be referred to as "ancestor worship", Cheng told me that it was actually understood as "a mutual relationship between generations." Descendents would provide worship and sacrifices for the ancestors who, in return, would bless the family line, bringing good fortune and prosperity. 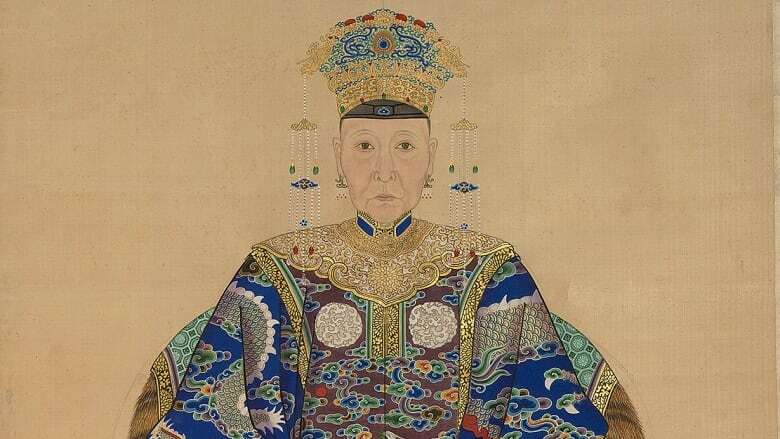 Although Chinese people today seldom commission painted ancestor portraits, Cheng tells me that practices of commemoration persist, with changes. "Instead of a life-size painted portrait people usually use photographs. When I was young, my father would set up a special altar space including a photo of my grandparents and periodically pay respect to it." This practice continues in China and also among Chinese-Canadians. Although people may no longer believe that their ancestors actually persist as deified beings on another plane, "the emotional connection between descendents and ancestors is still precious to them. And the concept of filial piety still exists today, particularly in the Chinese family." Honouring the ancestors is hardly a specifically Chinese practice. There have been similar practices throughout cultures and throughout history. Cheng says "It's a universal. Almost everyone wants to connect their own life with their ancestors. It helps to give meaning and context to one's life." Maintaining a relationship with our familial past can help root a sense of identity and help guide us in the present. But practices of ancestor worship don't just provide a link backward to the past, but also to different cultures and places. For Cheng, practices of ancestor worship are particularly relevant to countries like Canada. "People here in Canada come from very different cultural and geographical backgrounds, and may find themselves very far from their roots. I'm an immigrant from Taiwan, but that part of me is very important and I'd like to stay connected with it. This kind of ritual can help me do that." Cheng hopes that "Gods in My Home" will help people reflect on their own experience. "I want people to appreciate the artistic aspects of the work, to understand how these works were used in their original context and how they were important to their users. But I'm also hoping this might make people think of their own lives, and the different ways they may use images to connect with divine beings which can include your ancestors or other kinds of gods." To place oneself in a larger historical and cultural context is one of the most significant ways for people to give their lives meaning. 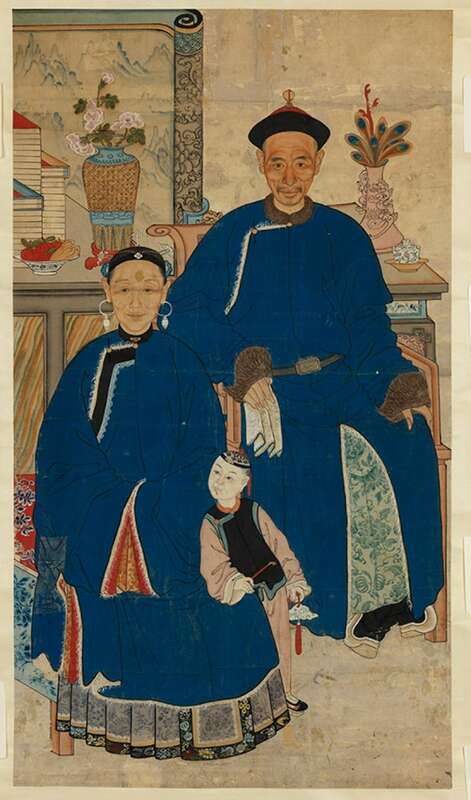 Chinese ancestor portraits provide just one especially interesting example of how this can be done. "Gods in My Home" at the Royal Ontario Museum will run from January 26, 2019 to September 29, 2019.